My copy comes as clear vinyl and with a download, as advertised on the hype sticker. Could be a recent reissue, bought from Juno. One of the greatest bands of the 80s. True pioneers. "Seven Songs" is a masterpiece of percussive industrial funk blended in a unique way with eastern mystique soundscapes. TOP! 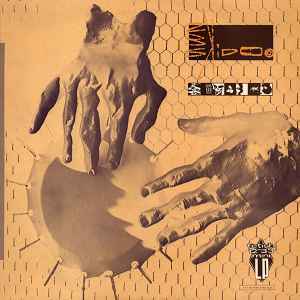 Reissue of the debut album by 23 Skidoo (Side A+B). Sound seems slightly remastered and is very clear. Side C contains two tracks previously released on 12"s.
Side D contains the Peel Session from 1981 that was not available on vinyl before. With interviews and liner notes inside the gatefold cover. Both sides end with locked groove. Very cool:) Great record. This was a mind blowing record when I first heard it!Searched for years to find it on CD and now I'm happy. Unbelievable sound and texture to this disc.groundbreaking!